Off the grid and on the farm is where I can be found as of late. Exiting what turned out to be an unsavory work stay that had brought me back to Ireland from London, I found my way into a truly rewarding and educating experience thanks to some wonderful Irish friends and came to discover just how vitally important and amazing farm life can be. Me and the girls during morning milking. 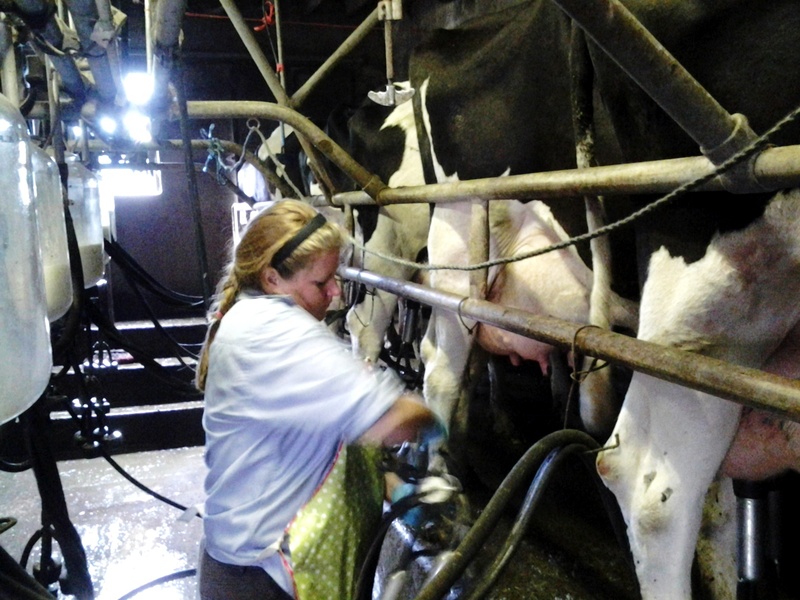 I’ve always enjoyed and exceled at a challenge, especially if it was out of the ordinary so when I was offered an opportunity to a work stay on a family dairy farm it couldn’t have come at a better time. A third generation farmer ,”Razor” (as they call him in these parts cause everyone has a nickname it seems), generously opened his home to me and has shown the patience of Job while training this novice farm girl. His focused work ethic and wealth of knowledge has been so eye opening and such a example to learn from. Not to mention his witty colloquialisms be fumble and amuse me all day long. 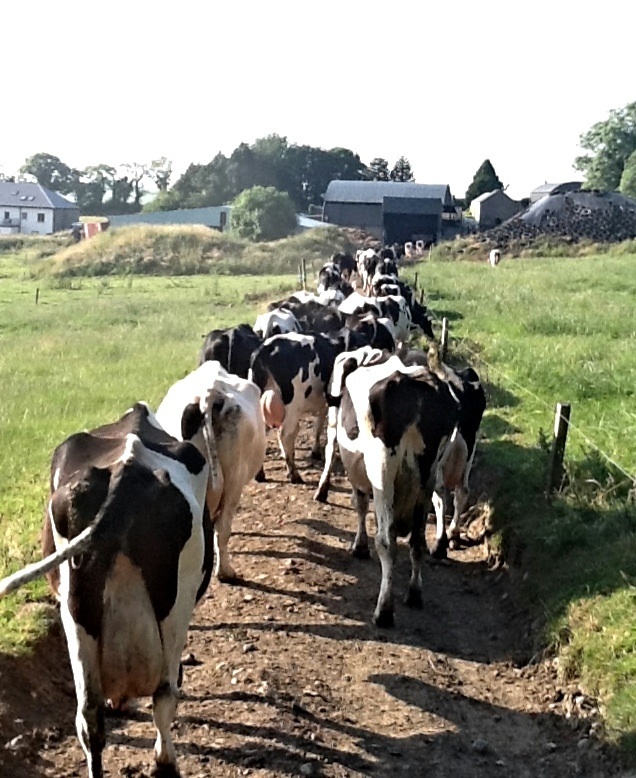 My evening walk in with the “girls”, headed to the milking parlor. Taking over and expanding the family farm from his aging parents a few years back, managing a herd of dairy cows and calves ( at the moment i think there are somewhere over 300 scattered about) along with managing more hay and silage in the area than most, his days are long. Razor along with the many other area farmers i have met prove that the Irish farmer is the most adaptable species on this planet, over coming great odds to maintain an essential and the leading industry in this country. I began interviewing Meath Co. area farmers a few months back and it was almost immediately i realized the unbelievable amount of work and daily commitment it takes to put beef on our tables, milk in our fridges, and grains in our pantries. 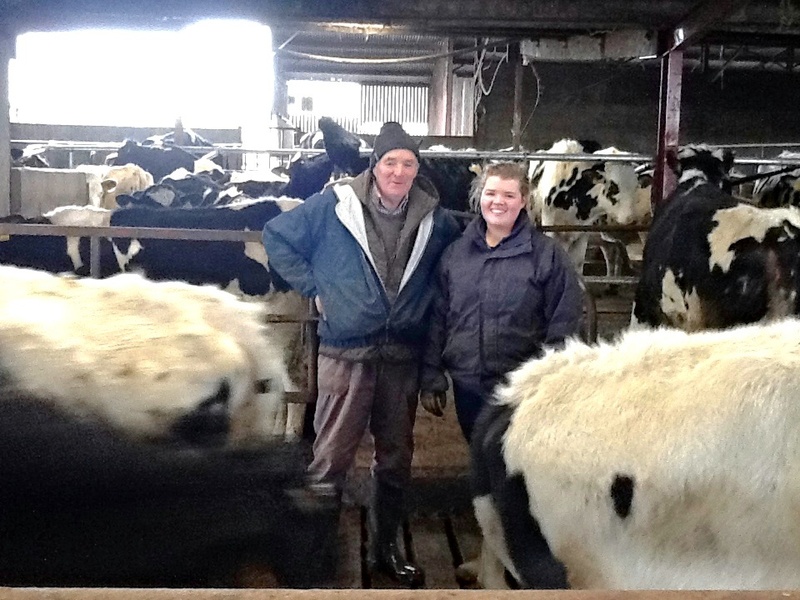 Meath Co. dairy farmer Seamus and his daughter Fiona, who is a teacher when not busy helping out her dad. My first visit was to Seamus Burns’ where with the help of his lovely wife Mary and 4 daughters milk upwards of 150 and is looking towards the future in farming. Already equipped with a high tech sensor, reading chipped heifers temperature and heart rate allowing the farmer to monitor health and ovulation when they enter the parlor to milk. Seamus along with a few other farmers recently ventured off to Holland to visit a high-tech dairy farm with a fully robotic milking parlor and is considering bringing this technology to his Meath Co. farm. 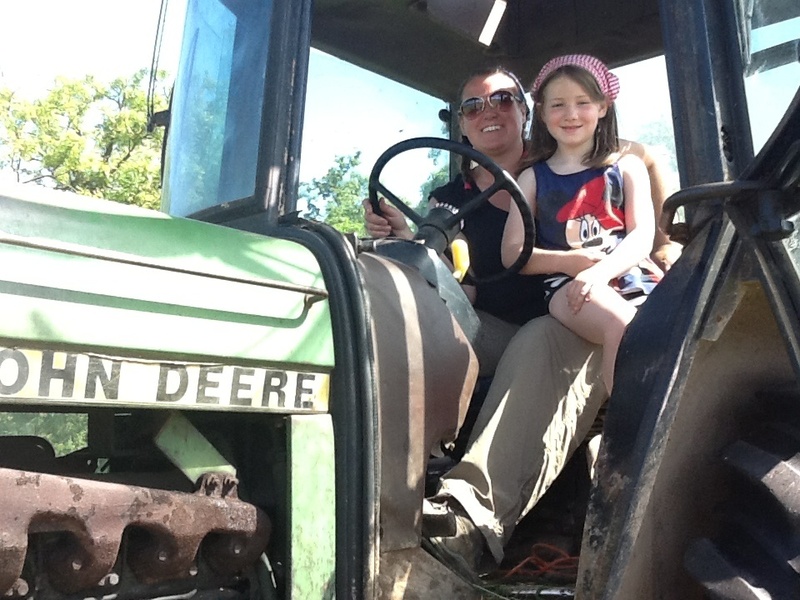 The bosses niece and i both agreed girls can make great farmers…although we are both a LONG way from being farmers to the bosses standards! The farmer finds many hats to be worn throughout the day: veterinarian, pharmacologist, gynecologist, biologist, substainable land manager, waste removal master, biologist, fertility specialist, animal behaviorist, mechanic, carpenter, electrician, plumber, engineer, livestock broker, CPA, CEO, CFO, accounts payable (and occasionally receivable), government red tape decoder, weatherman, delivery man, and on many occasions miracle worker. This is the farmer the world wide, what makes the Irish farmer special is his ability to adapt against all odds; weather, climate, fierce EU regulations and this year a harsh and finacially crippling fodder crisis due to a late and wet winter. Providing and overcoming which is based upon that strong tradition of community and agriculture that is still so prevalent in Ireland. In 2010 the country of Ireland had 64% of the land used for agricultural purposes, 58% of the agri industry is beef and milk production. Ireland is the largest exporter of dairy and beef in the EU, producing enough grass-fed beef in a year to meet the consumption requirements of 30 million European consumers. This week i tackled over 90 acres of shaking out hay for Razor before it was to be turned, raked and bailed….as well as strengthening my core muscles with my version of tractor pilates as I bump along the rough fields. 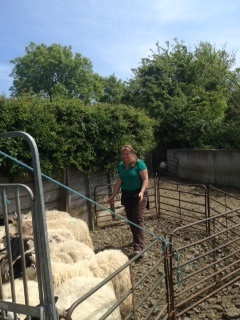 Helping out a neighboring sheep farmer, corral and feed them through to the sheep shearers. The premium land for agriculture lies in this east central part of the country. The moderate climate and what seems like constant rain fall produces some of the worlds most enriched rolling hills of lush grass. Grass-fed beef, lamb and dairy production is proven to not only have substantial health benefits such as increased omega 3s and cancer fighting CLA levels not to mention a cleaner and more humane production process. 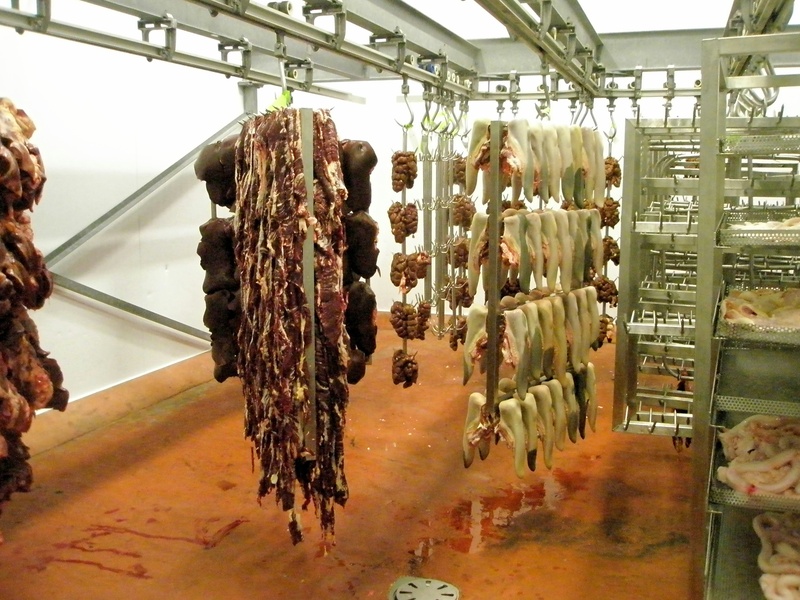 Despite the harshness of this picture even the fresh butchered offal (organ meat) was impressive in Euro Farm Foods cold storage. process line of precision butchers and staff. From the yard where local farmers drop their cattle with their “passports” which include a detailed life and health history, animals are then washed down and humanly culled by an Animal Welfare Specialist, brought into the plant where a long assembly line of expert butchers, veterinarians, and inspectors craft butcher with quick clean precision. From entry to cooler the process had to be under 5 minutes (I regret not timing it). The impressive stats, detail of cuts and categories of product would be dull content but I was surprised to see just how much of the cow, including the unconventional bits (offal-edible organ meat) was actually consumed especially by the Asian market. One such bit is the aorta, the main artery leading to the heart which is very popular in Korea according to Euro Farm Foods exports. Fresh beef aorta – Not as delicious as I was hoping with not much taste what so ever. 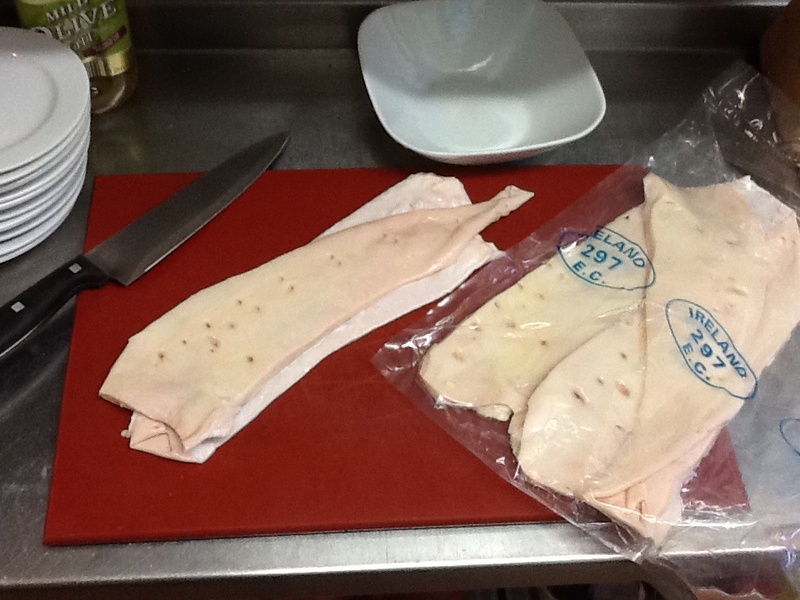 They graciously shared with me a pack of fresh cut aorta to experiment with. With nothing to be found on the web and after inquiring with many butchers and chefs no one had ever tried their culinary flare with this bit of beef. I attempted pan searing, slow simmering in a bit of stock, deep fried strips, and finally marinating in a bit of homemade hoisin sauce and stir frying with Asian veg. 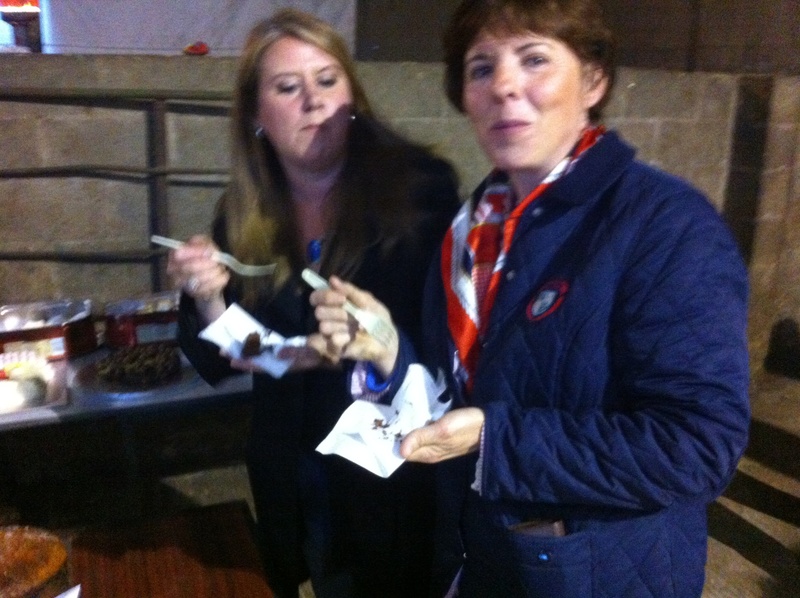 Brave Irish scouts sampling hoisin stir fried beef aorta. 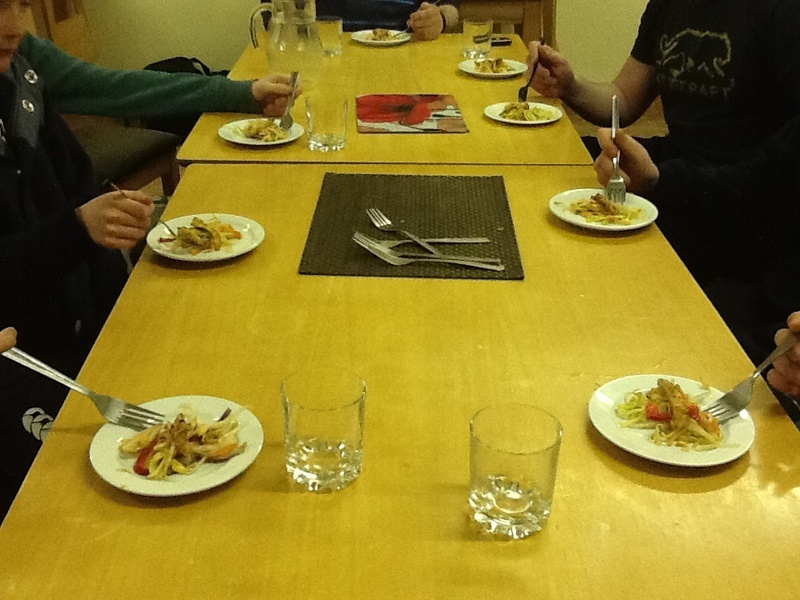 The stir fried version I prepared for a surprisingly willing group of scouts at the hostile I was staying in. Unanimously we decided it a bit too chewy for liking. If any readers have any experience with this cut I’d love to hear feed back on your version! The experience on the farm has been very grounding. Watching these farmers work from sun up to sun down ( which are very long days this far north of the equator!) with often little profit and alot of work is humbling. Reading the weekly farm journal that arrives and seeing the amount of information and regulation that the modern day farmer has to deal with especially under the EU gives me a whole new appreciation for what it takes to put a steak on my table and will make me think twice about groaning about my grocery bill now that I learned first hand the work and investment of time to get it to the store shelf. 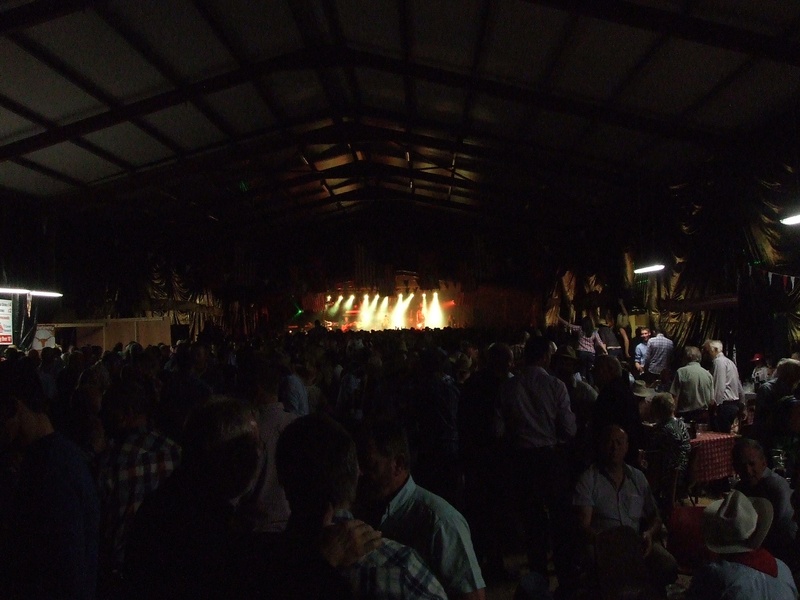 I can not say thank you enough to the following friends for sharing their time and connections for the past months wonderful experience : Albert, Razor, Derrik, The McGraths, Seamus & Mary, Michael-Rosin- & Pat of Euro Farm Foods. 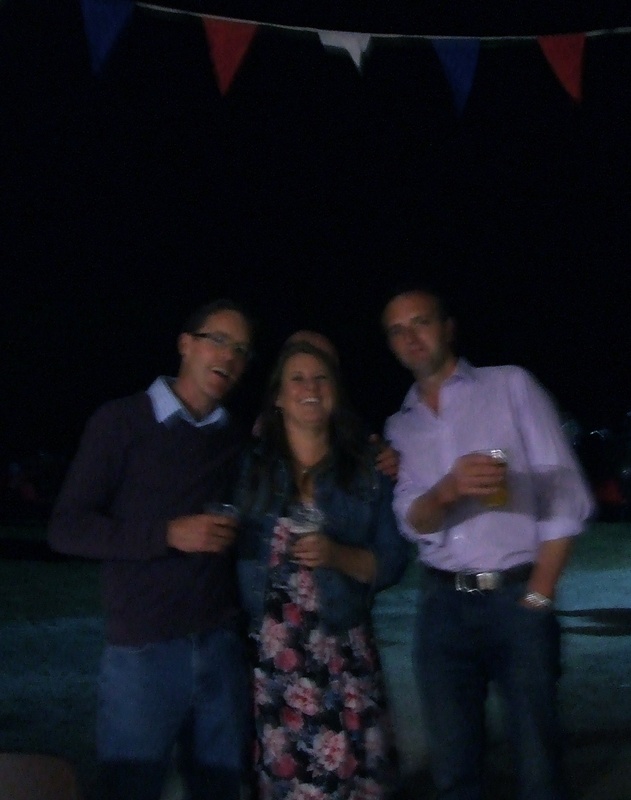 My nights dancing partner, a charming and well spoken bachelor farmer from Summerhill Ireland on the left and my farm boss Razor on the right. behind the bar. The band was a phenomenal Garth Brooks Tribute band who had no less that 300 on the dance floor the entire night! Needless to say we were the last group standing leaving around 6am. What a memory! The last men standing, about 5:30 am …needless to say I did not help with the milking that morning. Helping Mary Burns judge the bake-off at the Dairy Men’s Annual BBQ…it was a tough job ! Brilliant insight, especially into crippling EU regs. 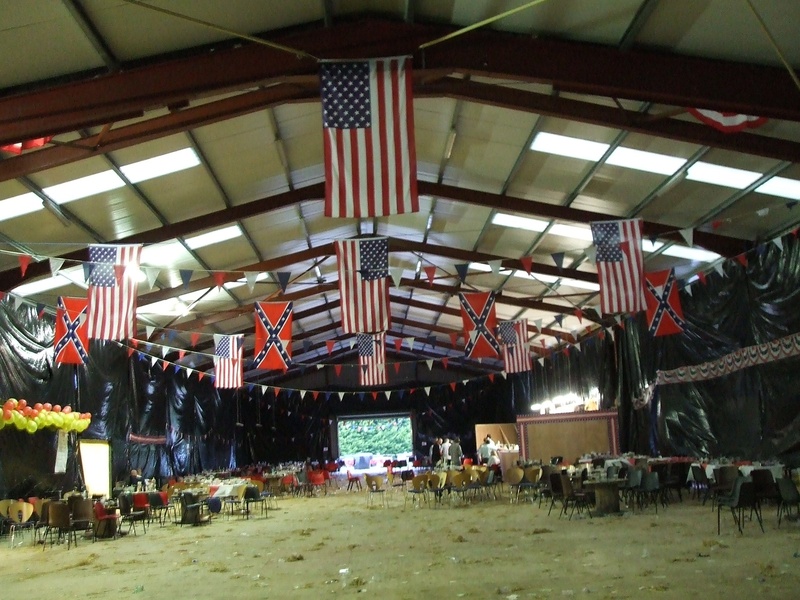 It’s really mind blowing to see how much damage the EU has done to cculture and tradition all for the sake of what they think is financially better for a country. Very sad. Love this post, Cody! Just the other day I heard a piece on NPR about livestock farming in Ireland, and was impressed with what I heard, much the same as you reported here. 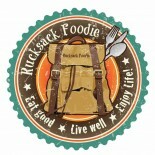 This entry was posted on July 11, 2013 by Rucksack Foodie in FOOD !, Friends, Ireland, People, Travel and tagged Euro Farm Foods, Friesian cattle, Ireland, Irish beef, Irish dairy farms, Irish farmers, Kilmoon Ireland barn dance, Milking.